The studio is all set up for Valentine's Day Mini's! Babies must be sitting up! Eeeeek. I am so excited that it's that time of year again! 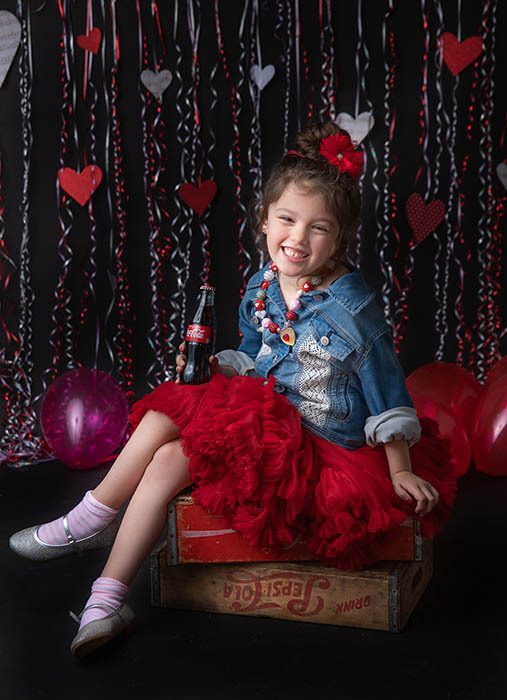 Get your adorable little loves ready for Janessa's annual Valentine Mini Sessions. There are four Valentine sets to choose from, possibly 5. What is Valentines Day without treats? We will have treats set out for the kiddos! We will have weekday walk-ins only when announced on the social media pages; Facebook and Instagram, watch out for our posts if you miss out on reserving a spot. 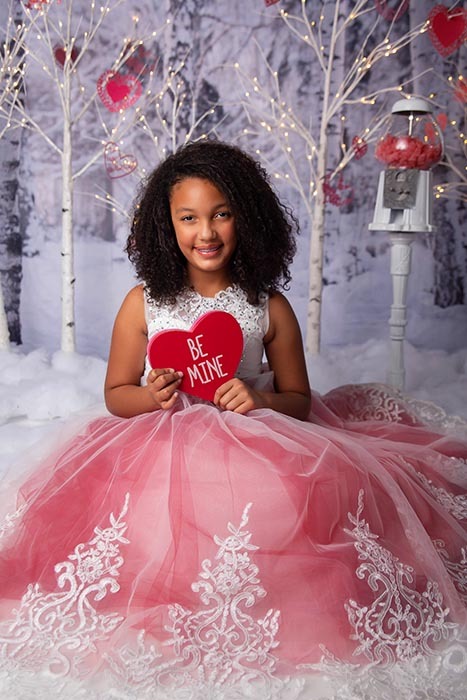 -1 customized printable wallet sized valentine card designed by Janessa featuring your childs/childrens names on a choice of templates shown to you the day of the session. Yes! You can divide up your shots however you want among your kiddos, but remember that your session will be 10 minutes. If you know you will want more time or more images, you can certainly reserve two spots back to back. We love the look of solid colors, keeping away from big logos or graphics on shirts. Small prints and patterns are just fine. We recommend keeping to light pink, red and white for girls, and red, white or blue tops for boys. We also love the look of romantic and fun mixed together. You can also have girls wear a girlie skirth with a pair of jeans and/or converse shoes. Boys can also wear a white tank top with a loosened tie and blue jeans. 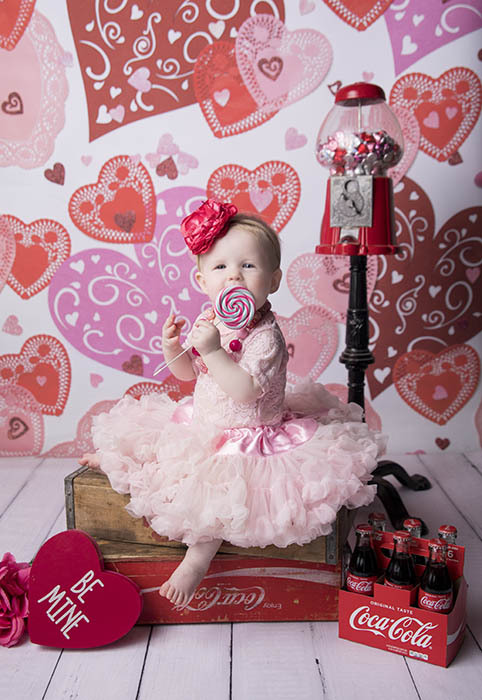 We do provide some outfits, tutu's, petticoats, bow ties, suspenders and some really cute props! We do not guarantee all of our outfits will fit every child. Please come prepared. Once your information is received, you will receive a contract that can be conveniently signed from your smart phone or computer. Your contract will include all details of the session, inclduing the time and address of your session. Please be sure to complete your contract within 12 hours or your session could be lost to another paying client. Please expect 24-48 hours to recieve your contract. If you do not receive it, PLEASE contact the studio so we may resend the information to esnure you don't miss out on this adorable mini session. Thank you for booking with Janessa! She and her associates look forward to working with you and your VALENTINE cuties!